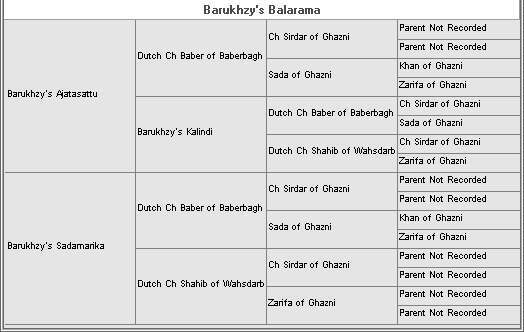 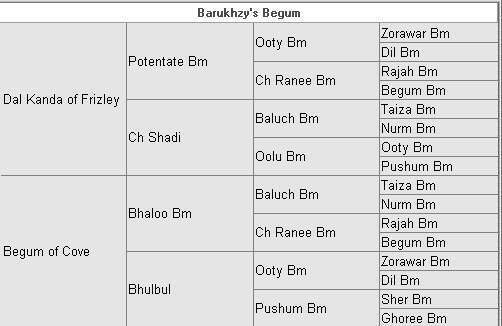 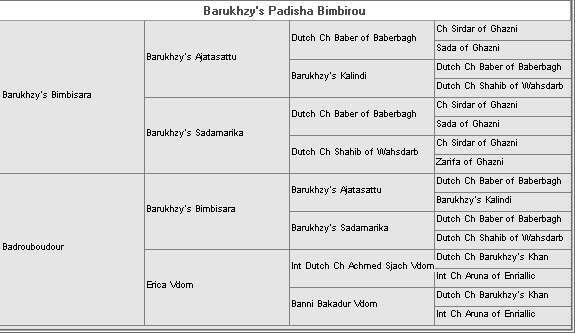 Shown below is the breeding history for Barukhzy Afghan Hounds. 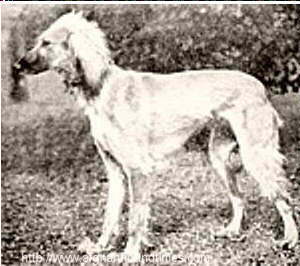 The breedings are listed in chronological order, contain all the known littermates per litter, colours where known and all accompanied with mini-pedigrees. 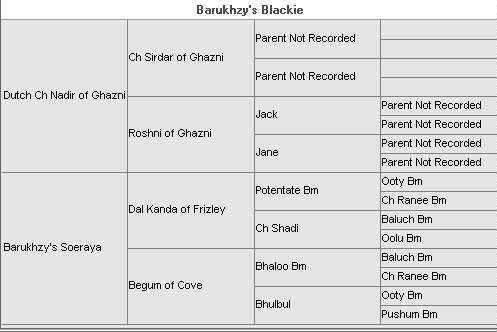 Litter 1 (Dal Kanda Of Frizley x Begum Of Cove). 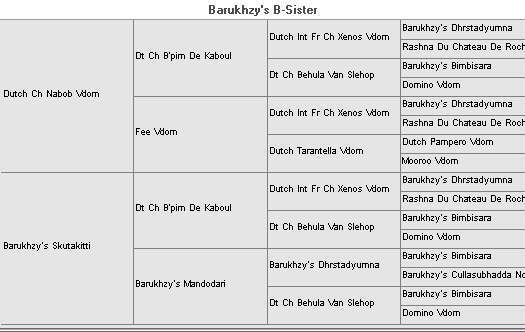 . .
Litter 3 (Nadir Of Ghazni x Barukhzy's Soeraya) . 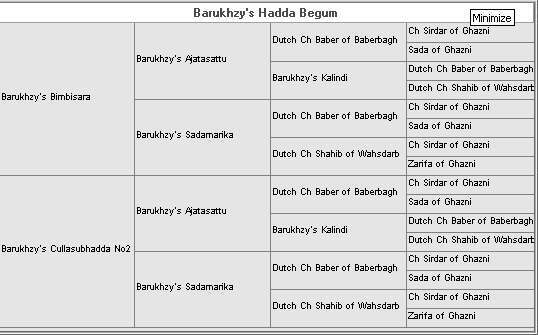 . .
Litter 7 (Baber Of Baberbagh x Barukhzy's Kalindi) . 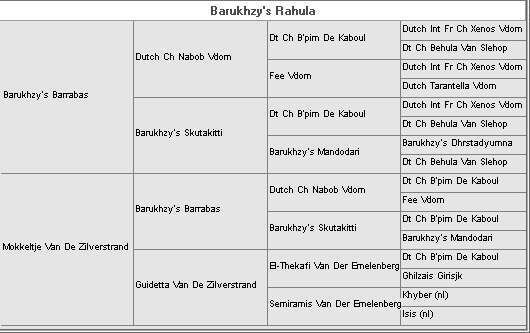 Litter 9 (Barukhzy's Ajatasattu x B's Sadamarika) . .
(Barukhzy's Dhrstadyumna x Behula van Slehop) . . .